Did you know you could be saving a lot of gas money when you drive a hybrid? We tried out the new Toyota Prius Prime, which is the brand's most advanced hybrid yet, and here's what we found! Write down your hopes (not goals or resolutions) for 4 aspect of your life, put it away, and read it 1 year after. Free hand-lettered printable included. How I Screwed Up My Son's Brain. And How I'm fixing it. I never believed that excessive screen time could affect children's speech, thinking and social skills. Until it happened to my son. Apparently, fixing it involves me having less screentime as well. The idea behind this hashtag is very simple: post things you're grateful for for 30 days straight. I don't mean one of those #blessed posts that are actually just boasting/fishing-for-compliments- posts in disguise. Because seriously, it's easy to add #Blessed when you're taking a selfie on a yacht in St. Barts. But what about the dull everyday moments that you spend with your family at home? Can you count them as blessings too? When I saw people doing it last year, I thought hmm I should do it in 2016. So here we go! I know I won't be able to keep it up, mostly because I don't post on Sundays. But on the days when I do post on social media, I will surely post about the things I'm grateful for, to help remind myself and y'all that there's always something to be grateful for everyday! Posting these for the last 3 days have stimulated me to be intentional in counting my blessings and being grateful for them. It might seem hard to do so sometimes, especially when we are distracted or overwhelmed by the bad stuff that are happening in our lives. Trust me, I am not posting/writing from a good place. I have been dealing with a lot of things lately. But you know what? I am training myself to at least give thanks to God for the little things. They don't have to be deep. You can thank Him for your family, the existence of your favorite dessert, the weather, or the fact that Cyber Monday is coming soon (which means most online sellers will offer crazy discounts on Monday, 11/28, my store included!) lol. However you do it, make sure you promote gratitude instead of competition. 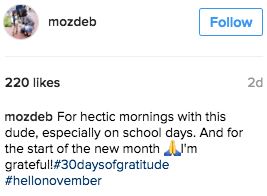 And maybe when we get so used to doing it, gratitude can become our lifestyle :) Let's give it a try, friends! Ever since my blog kinda took off commercially about a year ago, I have developed this strict posting schedule for my blog and social media accounts. I love it, I think it has helped me to maintain my quality, and it has proven to work because I have been getting a lot of opportunities because of my consistency. But as much as I love doing this, I felt so overwhelmed last Friday. 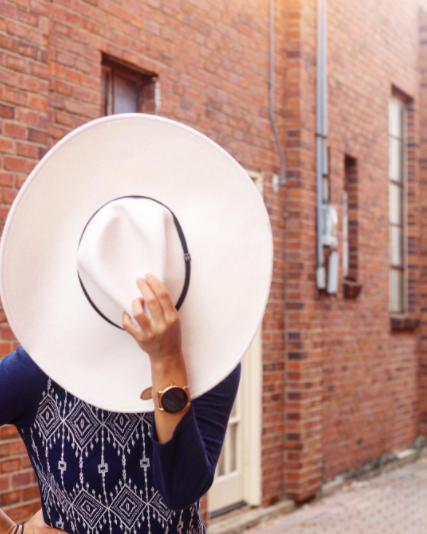 I know I said I love to hustle , but with the blog and the store and everything else in between including parenting and marriage, I have been stressed out without even knowing it. Sometimes you need a break from doing what you love. So I'm so grateful that I was given some really good resources by my family at Gateway Stewardship last week. Especially the Present Over Perfect book on the left in the photo above. Since last week, I've been taking some time off from blogging, social media posting (except for work), so that I could just be. I used to feel as if the world will end if I do not post something in a day, because I'm going to miss these great opportunities for not having a social media presence that day. Like my blogging career is going to fall apart and I'm going to miss out. But you know what I've learned? Life goes on. The world keeps spinning, and we just gotta keep on livin'. And just when I decided to have some rest and take a break, I received a Pamper Pack from one of my favorite brands, Patchology. I didn't want to just take photos of it and post about it. I waited, I made the most of it, and put meaning to it. This Flashpatch Eye Gel is to be put right under our eyes at 5 minutes before you put our make up on. It plumps and smoothes our fine lines while soothing, and brightening our under-eye area. I put it in the fridge the night before to give it an extra cooling sensation. Didn't have anywhere to go yesterday but that's okay. Just gonna pamper myself and chill. 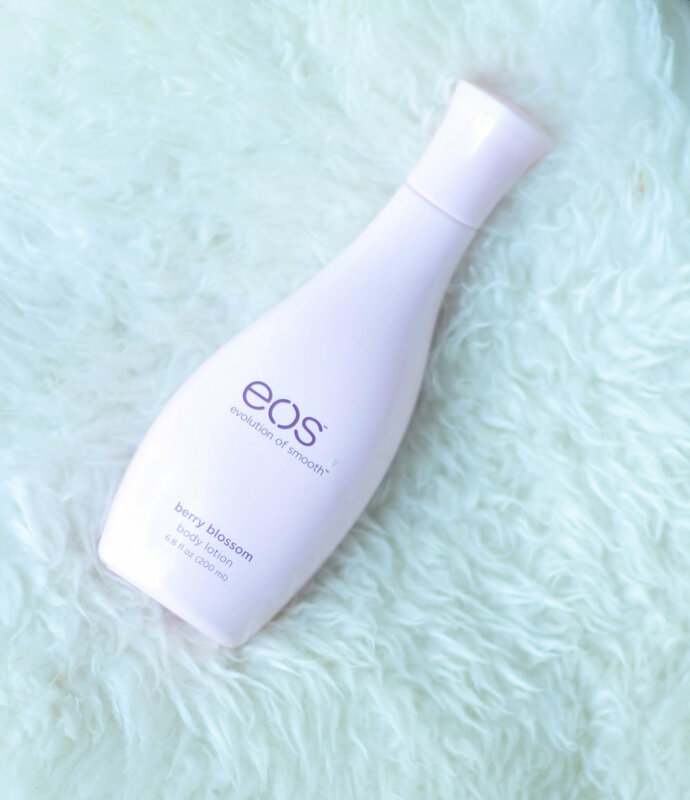 Next, I gave myself a little massage with this EOS Berry Blossom body lotion which proceeds will be donated to the Memorial Sloan Kettering Cancer Center throughout this month since October is the National Breast Cancer Awareness month. Next, of course I sat down, enjoyed my cup of Teh Tarik (Malaysian tea latte), and read my new book by Shauna Niequist. And you know what I found? It's okay to leave behind a frantic way of living. It's okay to not follow your tight schedules and step back a little. It's okay to live simply and not always to be on top of everything at all times. "You do not have to be good. You do not have to walk on you knees for a hundred miles through the desert repenting. You only have to let the soft animal of your body love what it loves. Tell me about despair, yours, and I will tell you mine. Meanwhile the world goes on." Simply beautiful. I'm not there yet, but I know that my journey to a more intentional, soulful, and simple living has just started. Stop The Bullying. Spread the love. I didn't really plan to write about this until yesterday when I was reading an article and found out that October is the National Bullying Prevention Month. We have so many good causes being campaigned and celebrated almost every month here in the US. However, beside human trafficking and child sponsorship, bullying prevention is one of the very few that are truly dear to my heart. Just like many of you, I have experienced bullying when I was a child. However, sadly enough, I had to experience it until as recently as 6 years ago, when I was in my early 20s. With the social media and advanced technology these days, it's so easy for people to voice their opinions about others without even checking the facts or filtering their thoughts first. I experienced cyber bullying a few years ago due to a horrible mistake that I had publicly made in my workplace. I owned my mistake, I had apologized for it and made amends with all parties involved and damaged by the incident. Even though it was really hard, I had decided to gather the shattered pieces of myself and start over. But women around me were not all excited for me. And I get it. What I did was wrong. But it was none of their business either and it did not validate their being mean to me. Many of them trash-talked me on social media, deliberately looked the other way whenever I said hi to them, and they never really got over being mean to me until months and months after. I don't know what is it about women, but we tend to feel threatened when another women are doing something good for themselves. It's as if they're when they start doing something good for themselves, we ask ourselves "But what about me?" - as if that person is better than us. Better according to whose standard? Don't we realize that we are all works in progress? We tend to compare ourselves with other women, and either beat ourselves up for not having what they have, or beat them up and bully them for our own insecurities. Why the negativity? Why the hate? So today I'd like to encourage you to love others, be kind, be supportive, without being a doormat. You can be selective when it comes to choosing the right friends, because some people are just not worth your time and energy. However, when it comes to being kind and friendly, we can do that to all. Feel free to pin or share these images I have created to encourage y'all to be kind to others and listen to these songs that might encourage you too :) If you'd like to campaign the anti-bullying cause in your community or at your kids' school, reach out to organizations like Bee Friendly, Pacer, or Stomp Out Bullying and be part of the solution. Love how she talks about loving yourself despite what people tell you. A beautiful and powerful music video too. I am not the mistakes I made, what my family did, or the color of my skin. I am light. India Arie slays as usual in this song. This awesome dude is my cousin! This song talks about a little songbird who stopped singing because 'those girls and their circles' talked about her. But then the song went on to encourage the songbird to never stop singing. So beautiful. This song is to encourage you to embrace your flaws and all the bad things that might have happened to you because they have only made you stronger. I love this quote above by Group 1 Crew that talks about how this rapper spent sleepless nights working on a beat machine when he was younger, to create music and make his dreams come true. I am not a rapper but I find this line to be so relatable. I originally wanted to start an e-commerce business so I don't have to rely on this blog to make an extra income. Plus, I was just so tired of the pretentious nature of the 'influencer industry', so I wanted to lay low and just blog for fun, not for money. But then God kept on opening doors for me and my blog, and in the last couple of months, I have been blessed with opportunities and partnerships that have given me access to get free food, free tickets, and some extra money. So I embraced it. Doing my best to maintain the quality of my contents, without selling stuff to you guys all the time. Do it in a tasteful way, and yada yada yada. And this is time-consuming! Now I have invested all of my money to building my store, so I have to do all that I can to make money from it! And so came the stress to do photoshoots, marketing, packaging, pop up shops, etc. To cut cost, I've decided to do my own photoshoots, even though I am not a professional photographer. I don't have a fancy DSLR so I have to rent one every once in a while and invite friends to support and model my stuff. This chick you see in the pic above is Emonne Markland. She is an author, a speaker, a TV producer, and most of all she is a mother and a wife. We met through instagram. She invited me to her Leave Your Beauty Mark coffee connect last year and she's been very supportive ever since! I find that genuine love to be rare, and I am grateful to have people like her in my life. It's not easy to maintain my relationships with people though (my family included). I get so busy all the time, my mind gets so occupied with my to-do lists that I can't even think about what I'm cooking for dinner or saying hi to a friend I haven't seen in a while. See the photo above? I woke up like that. Like a junkie with bags under my eyes lol. What can I do, I only got 4 hours of sleep! But why do I do this, really. Are we struggling that bad financially? Can't I just get a 'normal job'? Well the answer to both questions is NO, my friends. My family isn't going through a financial crisis, although J's surgery back in July was a big hit for us. I just really, really want to contribute to the household income with whatever I can do. I just like to hustle. It's just in me. And if doing what I love can bring us some extra money, why not? And a 'normal job'? No way. I do not want to be chained to a portioned vacation days. I want to be there for J whenever I want and can although I feel like I haven't done it well enough after being a 'stay-at-home mom' for 3 years now. Because while most people work from 9 to 5. Moms work from wake to sleep. I believe this chaos is only for a season, though. I believe that I will eventually learn to manage my time better, to let go of some projects that are too time consuming, and to put my family first. Because like this candle says in the pic above : "Light your home, light the world". *behind the scene photos by Vanessa Espinoza, who was also modelling for me.